Saudi Aramco (Arabic: أرامكو السعودية‎ ʾArāmkō s-Saʿūdiyyah), officially the Saudi Arabian Oil Company, most popularly known just as Aramco (formerly Arabian-American Oil Company) is a Saudi Arabian national petroleum and natural gascompany based in Dhahran, Saudi Arabia. Saudi Aramco’s value has been estimated at up to US$10 trillion in theFinancial Times, making it the world’s most valuable company. Saudi Aramco has total assets estimated at US$30 trillion, which includes the company’s natural gas and oil reserves. Saudi Aramco has both the world’s largest proven crude oil reserves, at more than 260 billion barrels (4.1×1010 m3),and largest daily oil production. Headquartered in Dhahran, Saudi Arabia, Saudi Aramco operates the world’s largest single hydrocarbon network, the Master Gas System. Its 2013 crude oil production total was 3.4 billion barrels (540,000,000 m3), and it manages over 100 oil and gas fields in Saudi Arabia, including 288.4 trillion standard cubic feet (scf) of natural gas reserves.Saudi Aramco operates the Ghawar Field, the world’s largest onshore oil field, and the Safaniya Field, the world’s largest offshore oil field. Saudi Aramco’s origins trace to the oil shortages of World War I and the exclusion of American companies from Mesopotamia by the San Remo Petroleum Agreement of 1920. The US Republican administration had popular support for an “Open Door policy“, which Herbert Hoover, secretary of commerce, initiated in 1921. Standard Oil of California (SoCal) was among those US companies seeking new sources of oil from abroad. SoCal through its subsidiary company, the Bahrain Petroleum Co. (BAPCO), struck oil on Bahrain in May 1932. This event heightened interest in the oil prospects of the Arabian mainland. On 29 May 1933, the Saudi Arabian government granted a concession to SoCal in preference to a rival bid from the Iraq Petroleum Co..The concession allowed Socal to explore for oil in Saudi Arabia. SoCal assigned this concession to a wholly owned subsidiary, CASOC. In 1936, with the company having had no success at locating oil, the Texas Oil Co. (Texaco) purchased a 50% stake of the concession. After four years of fruitless exploration, the first success came with the seventh drill site in Dhahran in 1938, a well referred to as Dammam No. 7. This well immediately produced over 1,500 barrels per day (240 m3/d), giving the company confidence to continue. On 31 January 1944, the company name was changed from California-Arabian Standard Oil Co. to Arabian American Oil Co. (or Aramco). In 1948, Standard Oil of New Jersey (later known as Exxon) purchased 30% and Socony Vacuum (later Mobil) purchased 10% of the company, with Socal and Texaco retaining 30% each. The newcomers were also shareholders in the Iraq Petroleum Co. and had to get the restrictions of the Red Line Agreement lifted in order to be free to enter into this arrangement. In 1950, King Abdulaziz threatened to nationalize his country’s oil facilities, thus pressuring Aramco to agree to share profits 50/50. A similar process had taken place with American oil companies in Venezuela a few years earlier. The American government granted US Aramco member companies a tax break known as the golden gimmick equivalent to the profits given to King Abdulaziz. 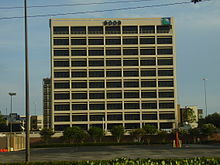 In the wake of the new arrangement, the company’s headquarters were moved from New York to Dhahran. In 1951, the company discovered theSafaniya Oil Field, the world’s largest offshore field.In 1957, the discovery of smaller connected oil fields confirmed the Ghawar Field as the world’s largest onshore field. In 1973, following US support for Israel during the Yom Kippur War, the Saudi Arabian government acquired a 25% stake in Aramco. It increased its shareholding to 60% by 1974, and finally took full control of Aramco by 1980, by acquiring a 100% percent stake in the company. Aramco partners continued to operate and manage Saudi Arabia’s oil fields. In November 1988, a royal decree changed its name from Arabian American Oil Co. to Saudi Arabian Oil Co. (or Saudi Aramco) and took the management and operations control of Saudi Arabia’s oil and gas fields from Aramco and its partners. In 1989–90, high-quality oil and gas was discovered in three areas south of Riyadh—the Raghib area about 77 miles southeast of the capital. In 2005, Saudi Aramco was the world’s largest company with an estimated market value of $781 billion. In 2011, Saudi Aramco started production from the Karan Gas Field, with an output of more than 400 million scf per day. Saudi Aramco is headquartered in Dhahran; and its operations span the globe which include exploration, producing, refining, chemicals, distribution and marketing. All these activities of the company are monitored by the Ministry of Petroleum and Mineral Resources together with the Supreme Council for Petroleum and Minerals. However, the ministry has much more responsibility in this regard than the council. A significant portion of the Saudi Aramco workforce consists of geophysicists and geologists. Saudi Aramco has been exploring for oil and gas reservoirs since 1982. Most of this process takes place at the Exploration and Petroleum Engineering Center (EXPEC). 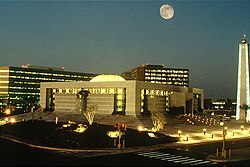 Originally, Saudi Aramco used Cray Supercomputers (CRAY-1M) in its EXPEC Computer Center (ECC) to assist in processing the colossal quantity of data obtained during exploration and in 2001, ECC decided to use Linux clusters as a replacement for the decommissioned Cray systems. ECC installed a new supercomputing system in late 2009 with a disk storage capacity of 1,050 terabytes (i.e, exceeding one petabyte), the largest storage installation in Saudi Aramco’s history to support its exploration in the frontier areas and the Red Sea. While the company did not originally plan on refining oil, the Saudi government wished to have only one company dealing with oil production. Therefore, on 1 July 1993, the government issued a royal decree merging Saudi Aramco with Samarec, the country’s oil refining company. The following year, a Saudi Aramco subsidiary acquired a 40% equity interest in Petron Corp., the largest crude oil refiner and marketer in the Philippines. Since then, Saudi Aramco has taken on the responsibility of refining oil and distributing it in the country. Currently, Saudi Aramco’s refining capacity is more than 4 million barrels per day (640,000 m3/d) (International joint and equity ventures: 2,060 Mbbl/d (328,000,000 m3/d), domestic joint ventures: 1,108 mpbd, and wholly owned domestic operations: 995 Mbbl/d (158,200,000 m3/d).) This figure is set to increase as more projects go online. Saudi Aramco’s downstream operations are shifting its emphasis to integrate refineries with petrochemical facilities. Their first venture into it is with Petro Rabigh, which is a joint venture with Sumitomo Chemical Co. that began in 2005 on the coast of the Red Sea. Ras Tanura Refinery (includes a Crude Distillation Unit, a Gas Condensate Unit, a hydrocracker, and catalytic reforming. Saudi Aramco has employed several tankers to ship crude oil, refined oil and gas to various countries. It has created a subsidiary company, Vela International Marine, to handle shipping to North America, Europe and Asia. The company has an “Environmental Master Plan” to reduce the emissions provided by Capital Programs, some of which has already been completed.Saudi Aramco is a leading company in the region in reducing sulfur emissions, CO2, and flaring. Also, a CEO Dashboard complemented by an annual Environmental Report shows the exact Environmental statistics and Key Performance Indicators in terms of air and sea water pollutions. The “FT’s Non-Public 150” by the Financial Times and McKinsey – the study of the world’s largest unlisted companies — 2006). This list of oil fields includes some major oil fields of the past and present. The list is incomplete; there are more than 65,000 oil and gas fields of all sizes in the world. However, 94% of known oil is concentrated in fewer than 1500 giant and major fields. Most of the world’s largest oilfields are located in the Middle East, but there are also supergiant (>10 billion bbls) oilfields in India, Brazil, Mexico, Venezuela, Kazakhstan, and Russia. Amounts listed below, in billions of barrels, are the estimated ultimate recoverable petroleum resources (proved reserves plus cumulative production), given historical production and current extraction technology. Oil shale reserves (perhaps 3 trillion barrels (4.8×1011 m3)) and Coal reserves, both of which can be converted to liquid petroleum, are not included in this chart. Other non-conventional liquid fuel sources are similarly excluded in this list. Ahwaz Field Iran 1958 1970s 10.1 .700 Expected to surpass original peak due to new gas injection. Priobskoye field Russia, WestSiberia 1982 2000 13 0.680 (2008) 14% depleted, Production rapidly expanding.